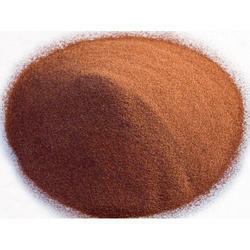 As a reliable Electrolytic Copper Powder Manufacturer in India, we offer premium Copper Electrolytic Powder. Fine mesh high Purity Electrolytic Copper Powder is used to manufacture sintered electrical contacts (Low Voltage), special electrical contacts like CuW made by PM infiltrations process. Our Pure Copper Powder is also used in manufacturing special alloys like Cu- Cr, Cu- Cr-Zr used in manufacturing of high voltage Electrical contacts.